We are your premier provider of architectural glass installations in the New York metropolitan area. 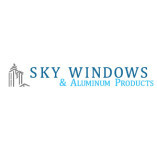 At SkyWindows & Aluminum, we are dedicated to providing the finest in quality service and products that include; storefronts, window installation,... replacement windows, custom shower doors, glass railing, vinyl windows, aluminum windows, doors, mirror installation, curtain walls and glass canopies. There Is A Financing Offer! Contact Sky Windows and Doors by number +1 (718) 517-9178. Keywords: Contractor, storefronts, window installation, replacement windows, glass railing, vinyl windows, aluminum windows, doors, mirror installation, curtain walls, glass canopies, glass canopy nyc, glass canopy brooklyn, window installation nyc, storefront windows nyc, storefronts nyc, glass curtain wall nyc, triple pane windows, storefront doors, storefront windows, reglazing windows, glass canopy, storefront glass, glass partition walls, office wall dividers, sliding glass walls, aluminum storefront doors, curtain wall installation, storefront door, sliding glass wall, glass storefront, window repair nyc, aluminum glass doors, storefront window, commercial aluminum windows, florida room designs, glass wall partitions, glass porch enclosures, glass wall dividers, glass storefront doors, vinyl curtain walls, glass patio covers, replacement insulated glass panels, inside glass doors, store front window, storefront canopy, frameless glass wall, interior glass railing systems, glass office dividers, storefront windows and doors, storefront designs, glass wall partition, brooklyn windows, nyc windows, residential aluminum windows, three pane windows, window replacement nyc, free standing partition walls, glass store front, glass wall installation, store front ideas, glass storefronts, glass divider wall, window glass replacement nj, entrance ways, windows brooklyn, residential curtain wall, wall windows and glass, window canopy designs, interior curtain wall, office wall divider, frameless glass walls, wall dividers nyc, curtain wall window.